Some of the best players in history have had to miss out on making any appearances at the World Cup because their country has not been able to qualify for the tournament. Other soccer players have been lucky enough to have been born in a country that excels at playing soccer, and have had the opportunity to go to several World Cups. We have gone through the history books to see which soccer players have made the most appearances at the tournament. If you’re a big soccer fan then maybe you could have a go at guessing which stars made the list of players with the most ever appearances at the World Cup. Brazilian midfielder Dunga managed 18 appearances in just three World Cups. That meant that each time he went to the tournament with Brazil they got pretty far, including winning the international competition in 1994. Dunga was a key player for the attack-minded Brazil; he was responsible for protecting his defenders, as the rest of his teammates tried to work their magic in the opposition’s half of the field. His style was to tackle hard, relying on his anticipation to predict how he could break up the opponent’s plays. He was thought of in high regard in his native Brazil, and after he retired from playing was given the responsibility of coaching the national team. Fabio Cannavaro was one of the greatest central defenders to play the game and is one of the few defensive players to win the Ballon d’Or (best player in the world award). He appeared for Italy in four World Cup tournaments from 1998 to 2010, managing to lift the famous trophy as the captain of his team in 2006. He was not considered a typical defender due to his relatively small stature, but he made up for that with excellent positioning, intelligence, and pace. During the 2006 World Cup, he used his organizational skills to the fullest, making sure that Italy would not concede many goals, only conceding one on their way to the final. 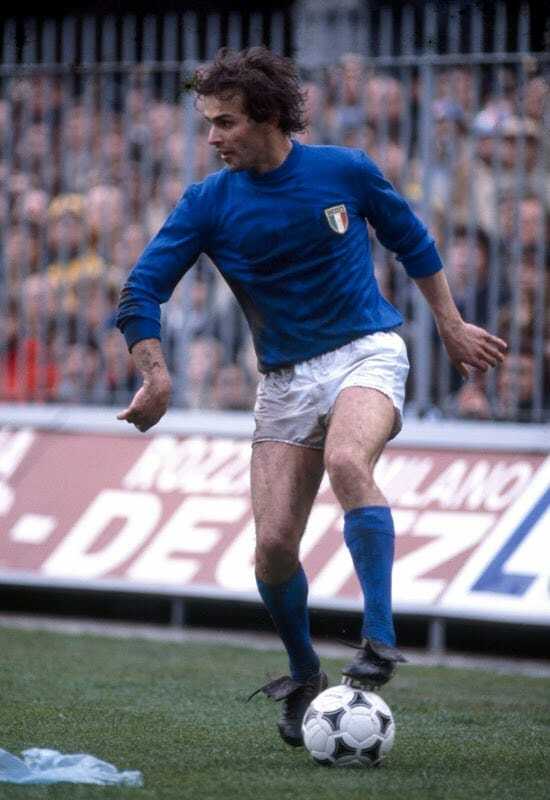 Antonio Cabrini was a part of a formidable defensive unit that helped Italy win the World Cup in 1982. He played at left back and was an extremely athletic soccer player. Many regard him as one of the finest fullbacks in the history of the sport. He played for Italy in three World Cups, and in 1978 was voted the best young player at the tournament in Argentina. Cabrini is still a part of the game and has been the coach of the Italian women’s national team since 2012. While attackers get many of the plaudits, defenders are the ones coaches rely on to be consistent, and here is another defender to have made the all-time appearance list at the World Cup. Thomas Berthold was a part of the German national team for three World Cups, from 1986 to 1994. Berthold was a runner-up with Germany at the 1986 World Cup and managed to go one step further at the following tournament to help his country win in 1990. If you have been given the nickname Der Kaiser (the Emperor) by your fellow pros and the media, you know you’re a good player. 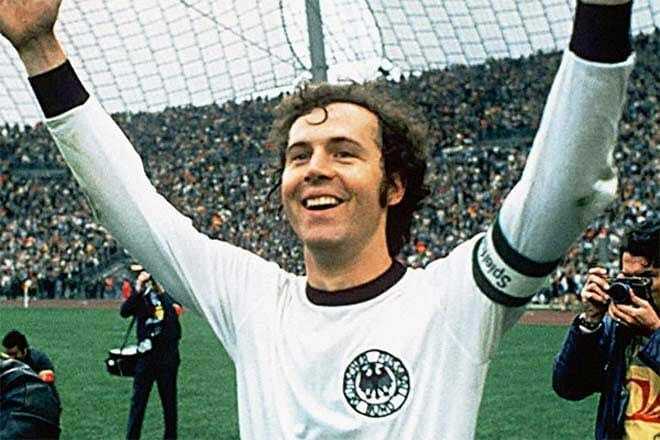 Beckenbauer was praised for his elegant style of play while dominating the opposition and fearlessly leading his team. The German defender went to three World Cups between 1966 and 1974. He won the tournament with Germany in 1974 and would win the second of his Ballon d’Or awards two years later in 1976. 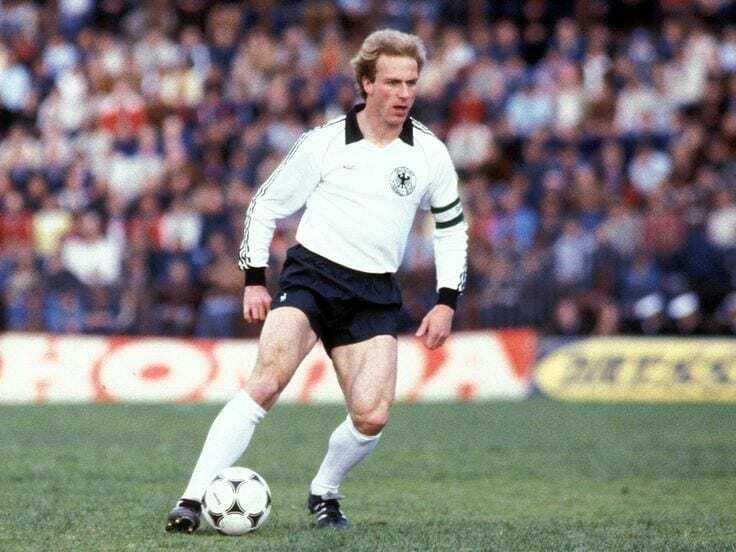 Going one appearance better than his German colleague Beckenbauer is Berti Vogts. 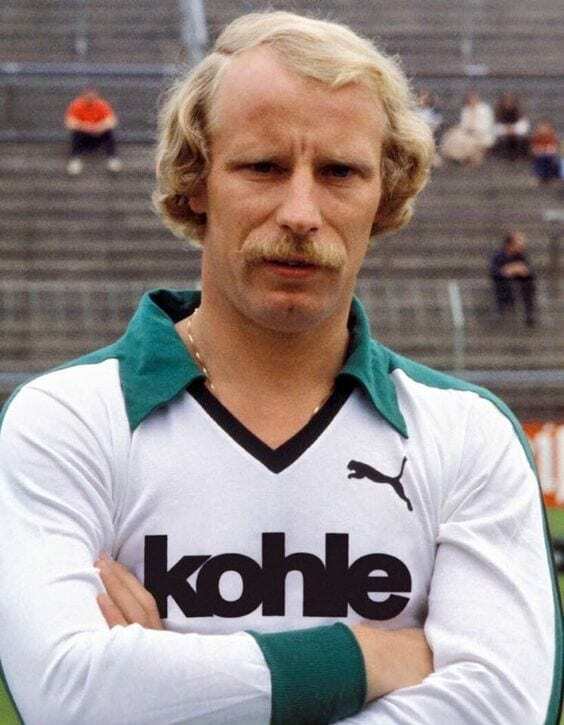 Vogts played in the same defense as the great German but doesn’t receive as much praise. Vogts appeared at three World Cups from 1970 to 1978, winning in 1974 in West Germany. He appeared in the World Cup all-star teams in 1974 and 1978. 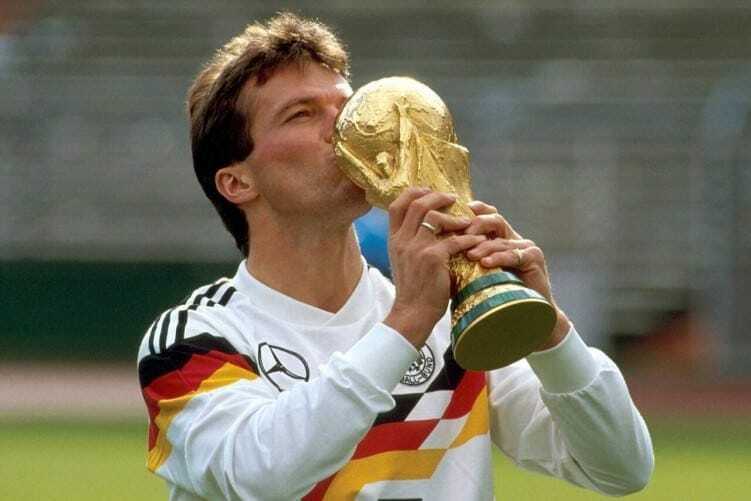 After he retired from playing he went on to coach the German national team, winning the World Cup once again in 1990. Karl-Heinz Rummenigge was a versatile forward player who could dribble his way through opposing defenses as though they weren’t there. During his club career, he scored over 200 goals and managed a total of 45 goals in 95 appearances for Germany. 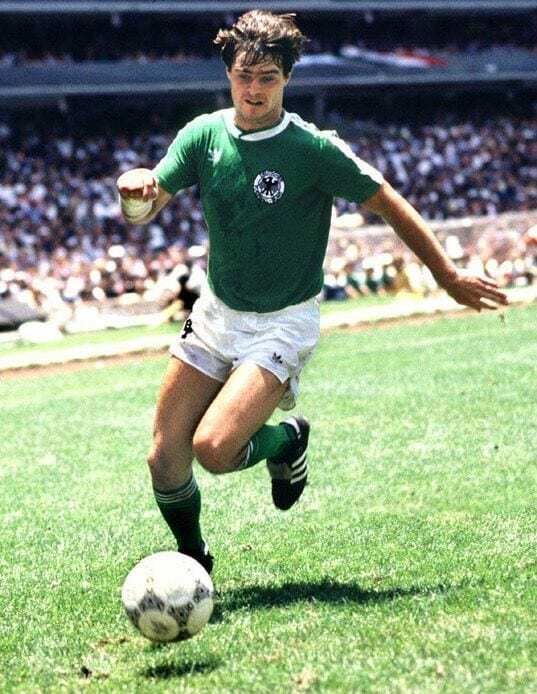 Rummenigge appeared at three World Cup tournaments with Germany, from 1978 to 1986, but never managed to appear for a team that won the competition. Rummenigge managed to win the Ballon d’Or twice during his playing career, thanks to the number of goals he was able to score. Brazilian forward Ronaldo is one of the legends of the sport. When he was in his prime he was unstoppable, running through opposing defenders with pace, skill, and dynamism. Although injuries blighted his career, he still managed to play 19 times at four different World Cup tournaments. He was dubbed “The Phenomenon” in Brazil thanks to his amazing playing ability. He won the World Cup twice with Brazil, helping them to lift the trophy in 1994 and in 2002. 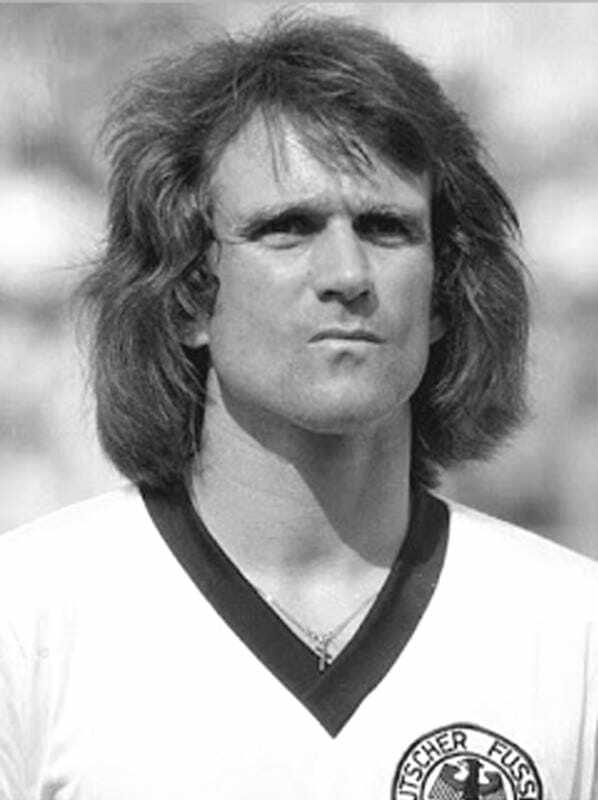 Attacking midfielder Wolfgang Overath appeared at three World Cups with Germany between 1966 and 1974, managing to help them win it in 1974. He was a great passer of the ball and could often open up a defense with an accurately played through pass. 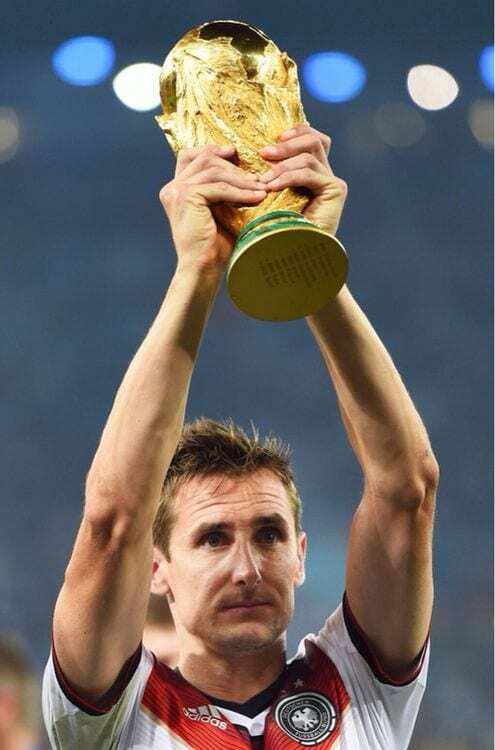 In each World Cup he played in, Germany did well, reaching the final twice and finishing in third place the other time. He made the all-star team in 1974 as the Germans dominated the tournament, which was played in their home nation. Per Mertesacker retired from playing soccer just a few weeks ago. He was a vital part of the German national team for many years and took them to three World Cups from 2006 to 2014. Although he was not a quick player, he made up for this with always being in the right place at the right time, and his towering figure meant he would win almost all headers that came his way. 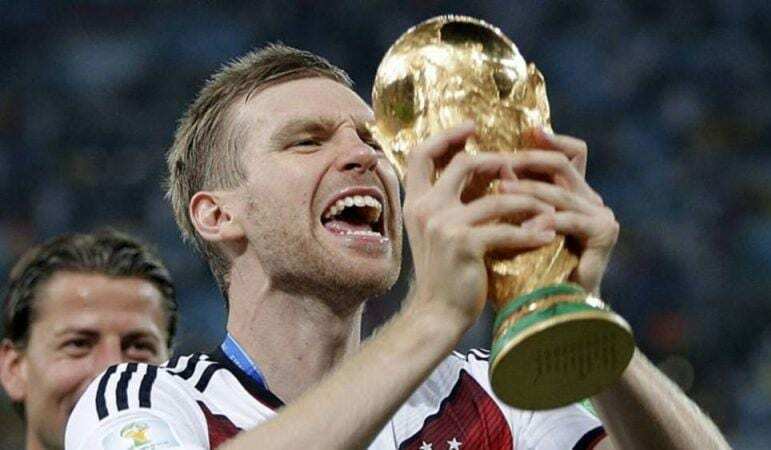 Mertesacker was a part of the German team that lifted during the last World Cup in 2014. Bastian Schweinsteiger also appeared in three World Cups for Germany. He was a part of the German midfield that managed to beat Argentina in the final of the 2014 World Cup in Brazil. Known for his calm playing style, Schweinsteiger can smash the ball into the back of the net from a great distance as his long shots were some of the best in the world. He was picked in the World Cup dream team in 2010 and finished that year’s tournament with the joint most assists. Grzegorz Lato played for Poland during a time many thought they would win a major tournament. Although they were unable to win the World Cup, they did manage to win gold at the 1972 Olympic Games. Lato appeared in three World Cups for Poland, helping them to finish in third place both in 1974 and 1982. He was a winger with a great goal scoring ability, becoming the top scorer at the 1974 tournament, the only Polish player to ever achieve the feat. 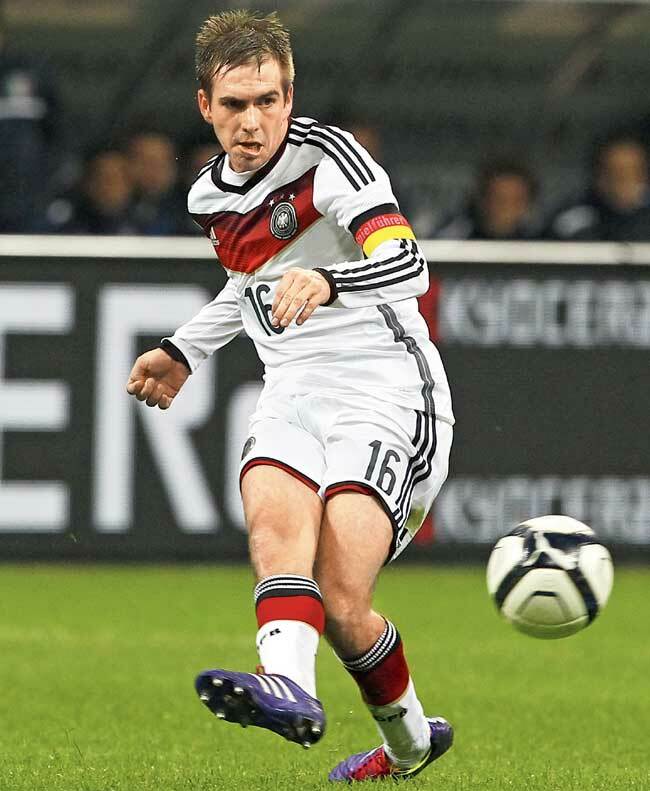 Philipp Lahm is a legendary German defender who captained the national team as they won the World Cup in 2014. He was such a good defender that he was named in the World Cup dream team in 2006, 2010, and 2014. After winning the tournament in 2014, he retired from international soccer but didn’t retire entirely until 2017. He was a versatile defender who played on either the right or the left side of the field, despite being right footed. Regarded as the best right back in the history of soccer, Marcos Evangelista de Morais, or simply, Cafu, made 142 appearances for Brazil in his career. He was full of energy and would often end up closer to the opposition goal than his own, despite being a defender. He was a real leader who could put accurate crosses in toward the forwards. 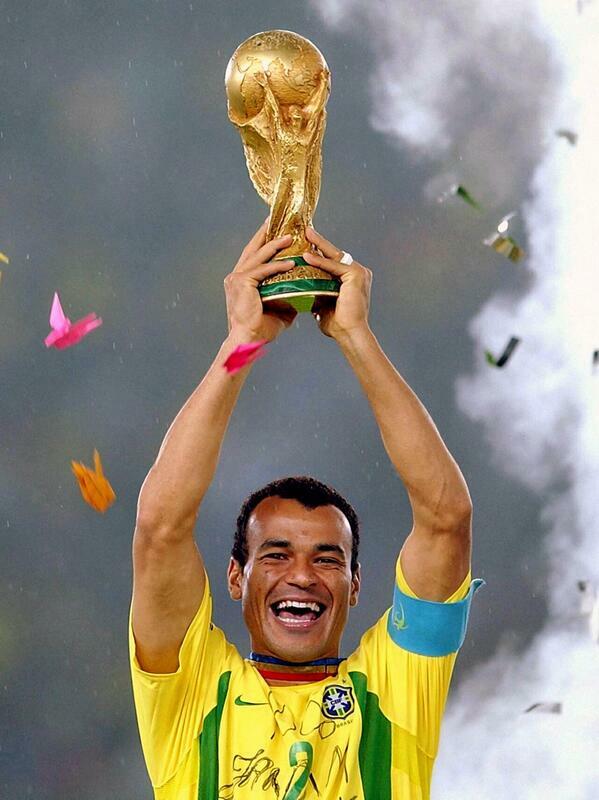 Cafu appeared in four World Cups from 1994 to 2006, helping Brazil win the cup twice in that time. During the golden age of Polish soccer, Władysław Żmuda was the rock at the heart of their defense. Żmuda went to four World Cup tournaments from 1974 to 1986, even though they didn’t win they managed to come third on two occasions. At the 1974 World Cup, Żmuda won the award for the best young player at the tournament. 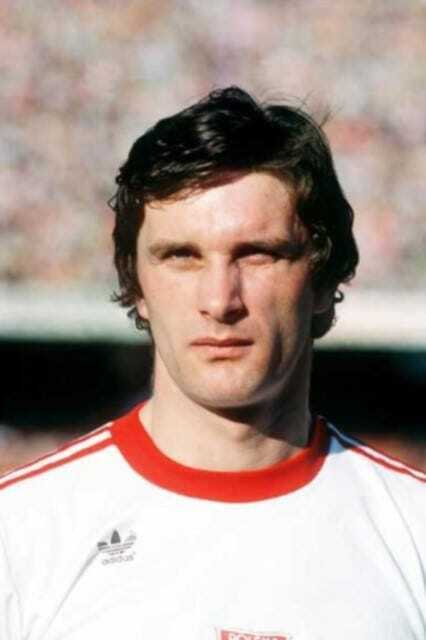 Żmuda played for Poland from 1973 to 1986, winning 91 appearances in total, chipping in with just 2 goals in that time. 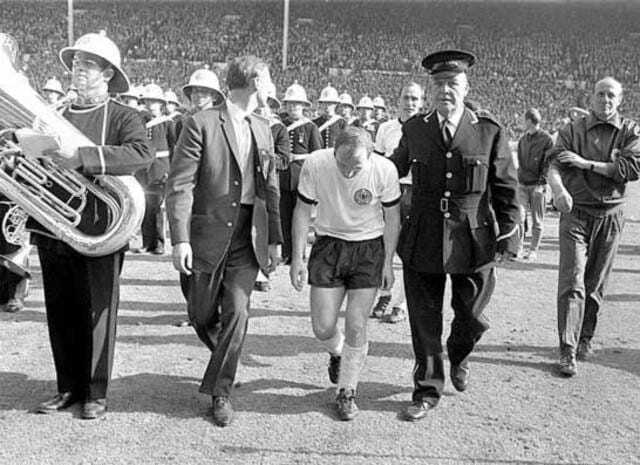 Uwe Seeler was a dynamic striker capable of scoring a goal out of nothing. Besides his incredible playing ability, Seeler was praised for having a fair and modest temperament. Seeler appeared in four World Cups from 1958 to 1970, but never managed to play for a German team that won the competition. A picture of him visibly devastated after losing to England in the 1966 World Cup final was voted photo of the century in his native Germany. Diego Maradona was a brilliant soccer player and used the stage of the World Cup to show this off to the world. He was capable of scoring amazing goals, and confusing opposing players with his skill when dribbling with the ball. 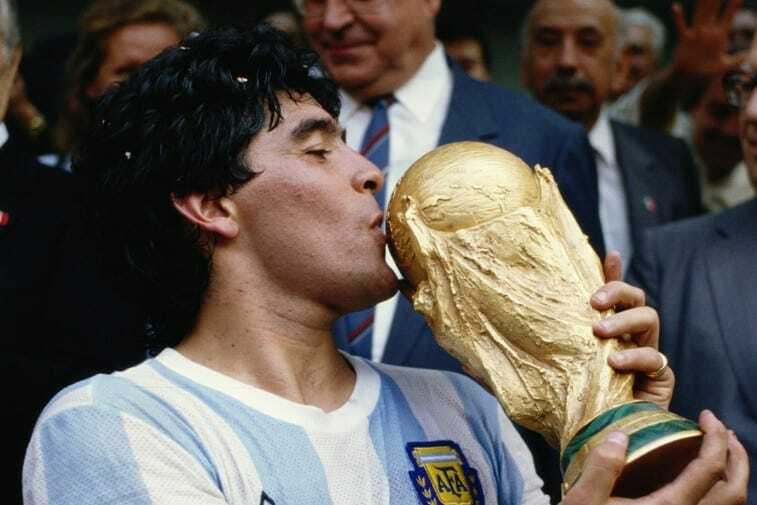 Maradona made 21 appearances in four World Cups for Argentina, winning the tournament in 1986. He returned to the World Cup in 2010 as the manager of Argentina but was unable to lead his country to victory. Paolo Maldini had an incredibly long playing career, first playing for Milan in 1985 and retiring 24 years later in 2009. During that long career, he played for Italy 126 times, appearing at four World Cups from 1990 to 2002. For such a great player, he never managed to win the World Cup with Italy; the best he did was a runners-up place in 1994 and third place in 1990. He played his career at left back, despite being right footed. The German striker is the all-time top scorer at the World Cup with 16 goals. He featured in four World Cups, from 2002 to 2014, becoming the first ever player to receive four consecutive medals in the competition. Each time he appeared at a World Cup, Germany would do well – they won it in 2014, came second in 2002 and third place in 2006 and 2010. He was famous for his celebrations after scoring a goal, often performing a somersault in midair. Lothar Mattäus is one of a very select list to have appeared in five World Cup tournaments as a player. His first came in 1982, and he appeared in each tournament until 1998. Unsurprisingly, appearing at so many tournaments means he has the record number of appearances at the competition. Mattäus was a dynamic midfielder, with great stamina, allowing him to run the length of the field all game long. Mattäus managed to lift the World Cup in 1990, winning Player of the Year in Germany the same year.